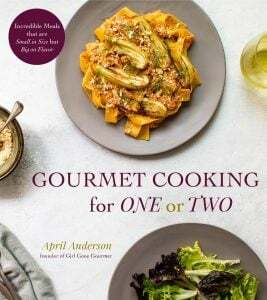 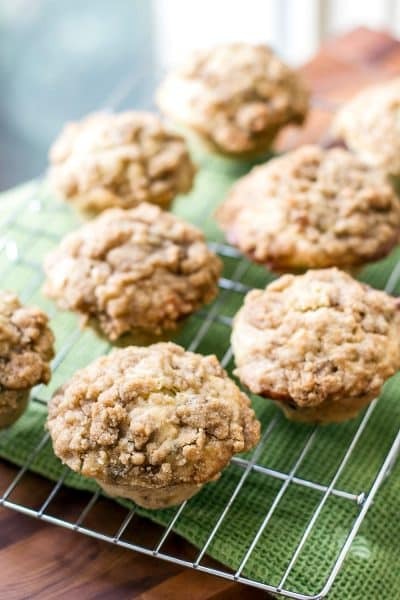 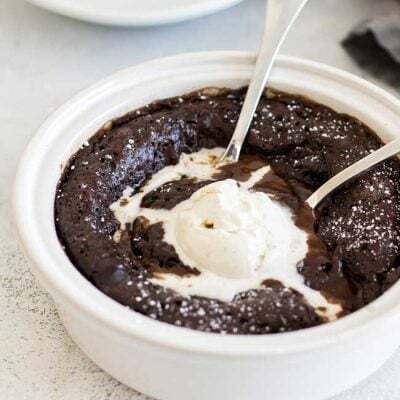 Girl Gone Gourmet | A food blog with delicious recipes. 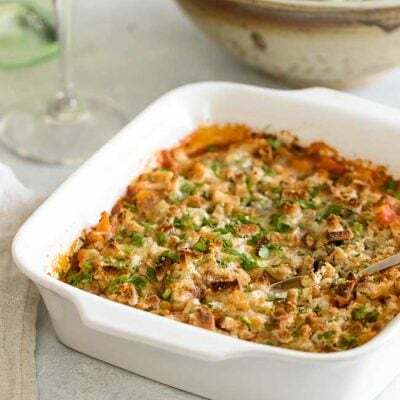 This tortellini tuna casserole for two is a twist on a classic tuna casserole. 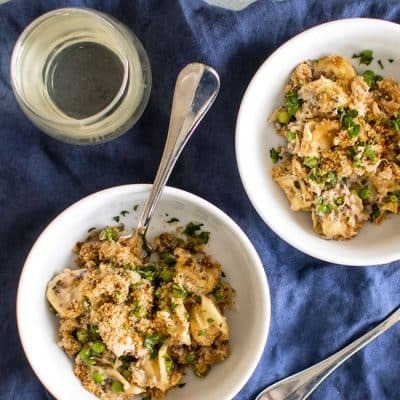 The creamy from-scratch sauce is made with fresh mushrooms, white wine, and garlic and is tossed with cheese tortellini and peas. 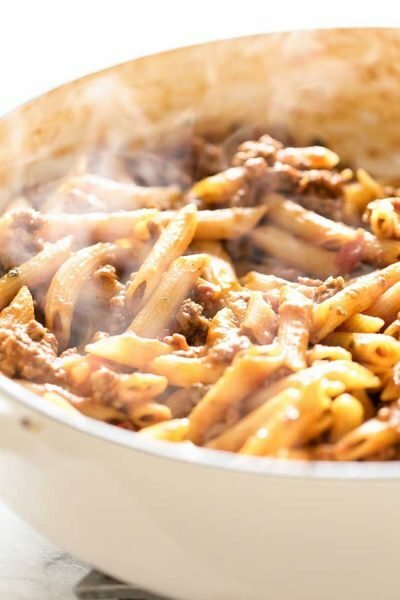 Plus, there’s no need to boil the pasta – it cooks right in the sauce while in the oven. 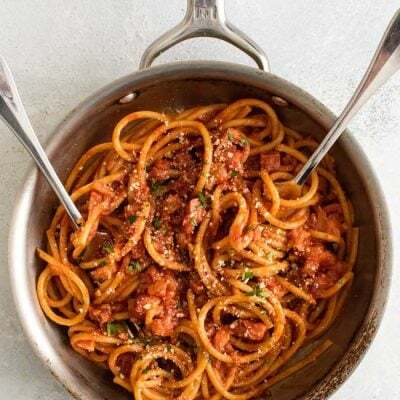 This dish celebrates the crossroads of winter with fresh spring produce combined with comforting pasta. 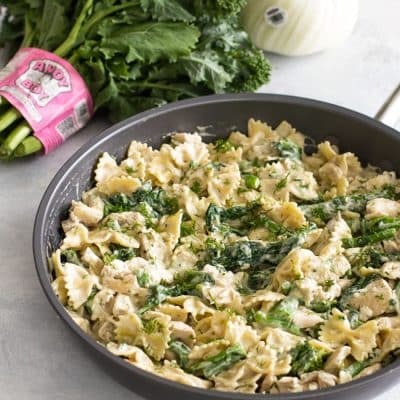 Bow tie pasta coated in a creamy sauce flavored with fresh fennel and bacon along with tender chicken and fresh broccoli rabe is a comforting dinner for early spring. 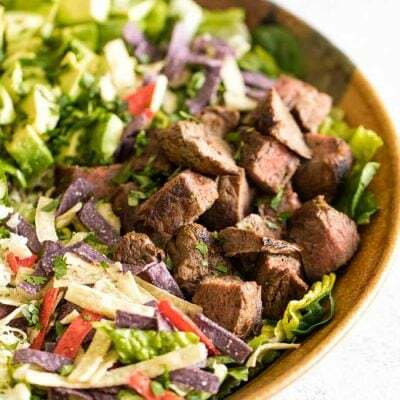 This post is sponsored by Andy Boy. 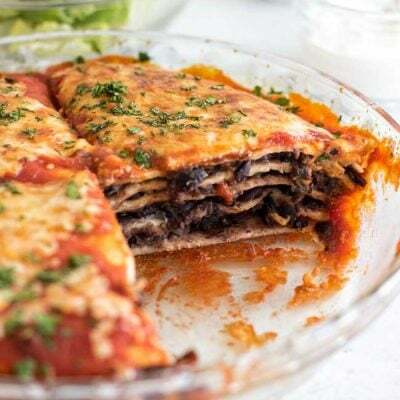 Layers of flour tortillas, black beans, and sauce is a fun twist on traditional enchiladas. 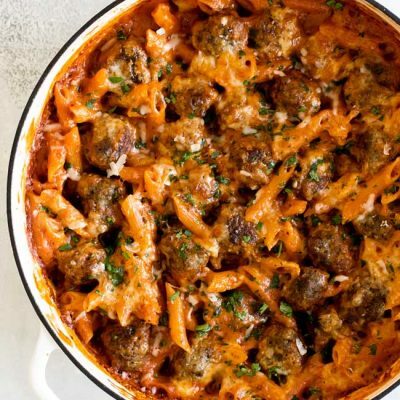 Serve it with all of your favorite toppings for an easy-to-make weeknight dinner. 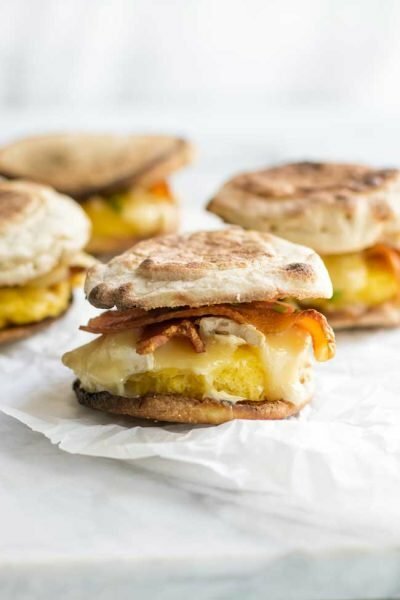 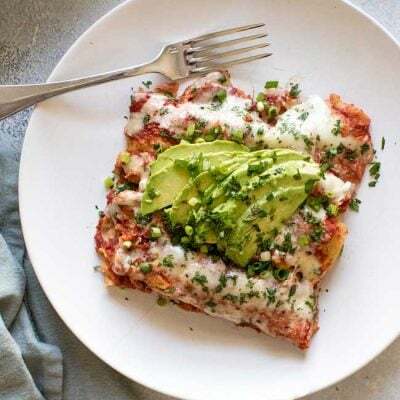 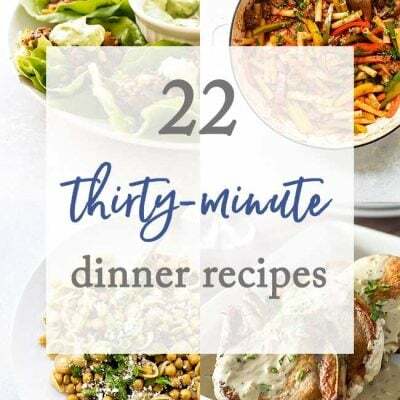 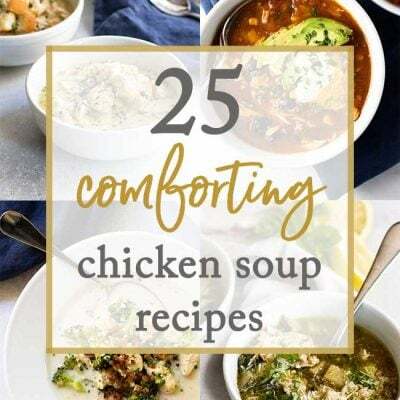 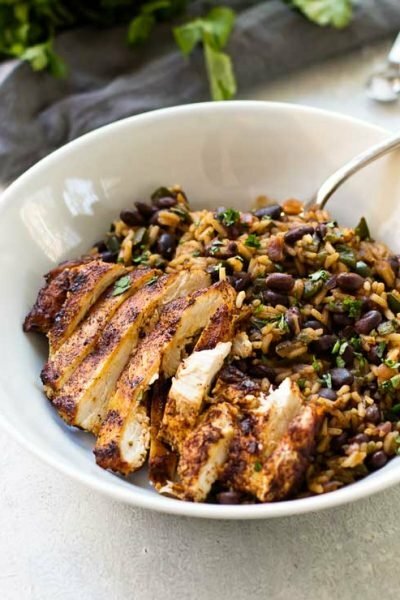 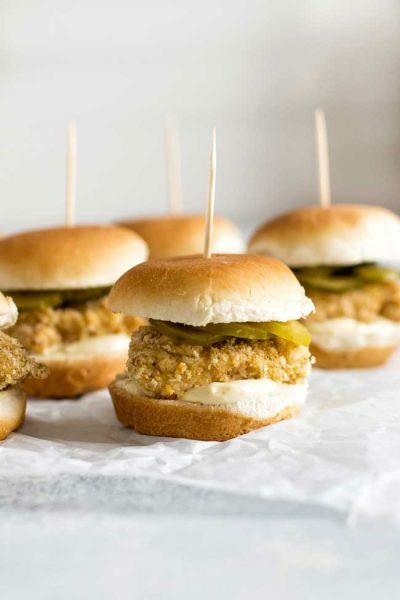 Because we can never have too many easy dinner recipes here’s a collection of 30-minute dinner recipes that will make weeknights so much easier. 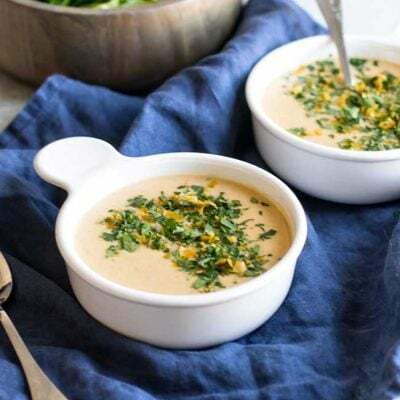 Roasted cauliflower and smoky bacon meet in a creamy cheddar cheese soup – this bacon cheddar cauliflower soup is a cozy dinner for two. 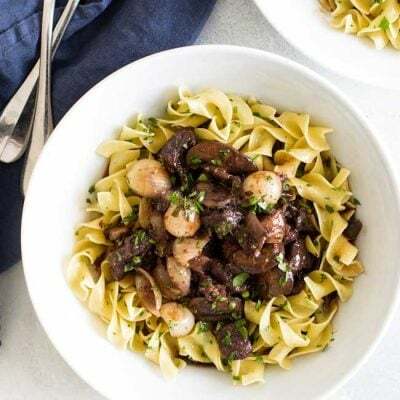 Beef bourguignon is a labor of love that is totally worth the effort. 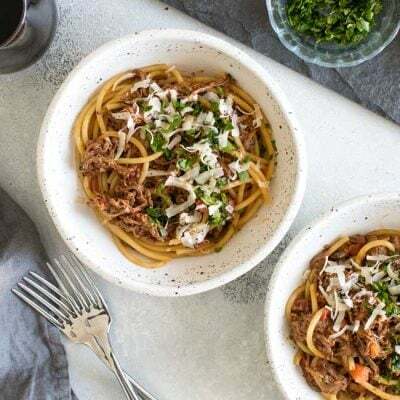 Slow-cooked beef in a red wine sauce with sweet pearl onions and earthy mushrooms is the ultimate winter comfort food! 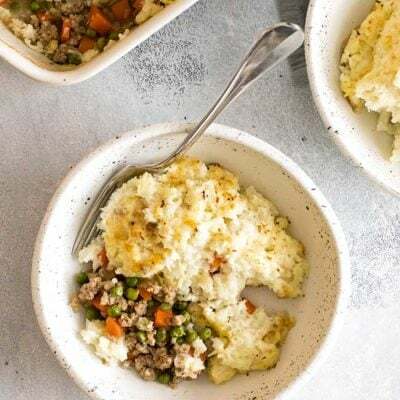 This lightened-up shepherd’s pie is made with lean ground turkey and cauliflower mash but still serves up all the cozy comfort that you get with a traditional shepherd’s pie. 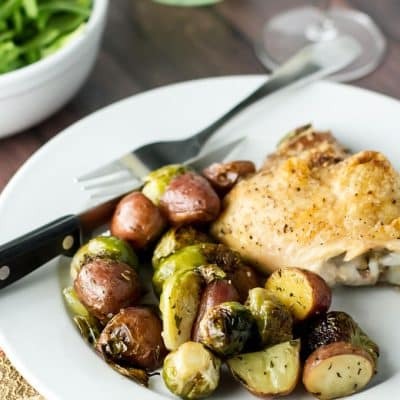 This one-pan roasted chicken and veggies is a single sheet pan dinner with minimal prep and fuss. 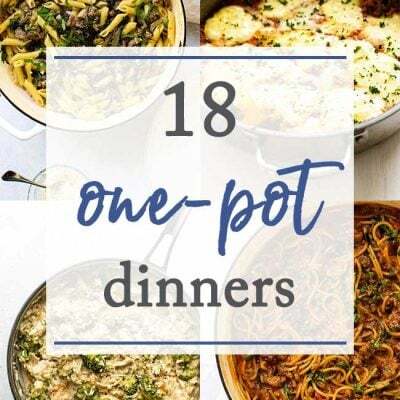 The veggies come out of the oven tender and caramelized along with the juicy and crispy-skinned chicken thighs. 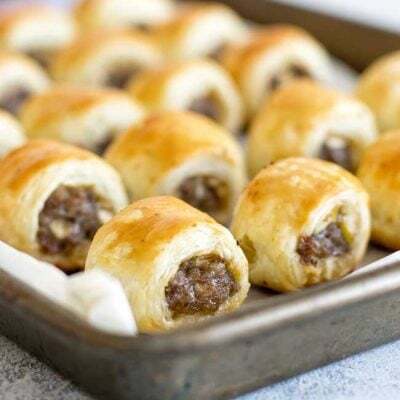 Need some inspiration for New Year’s Eve? 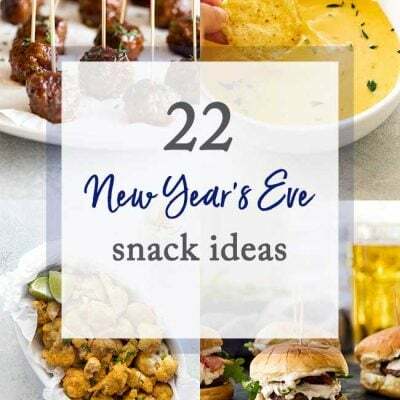 I’ve gathered up 22 New Year’s Eve snack ideas for you to browse – I hope you find some new ideas to try!